Josh McKible is busy: on top of the recent poster for Cafe Pause and label for the original tea blend, now he’s also collaborating with papercraft legend Shin Tanaka. Josh was invited to participate — along with six other designers — in a project called “We Don’t Need Fake!! !” To help keep things “real and original,” download the designs here. 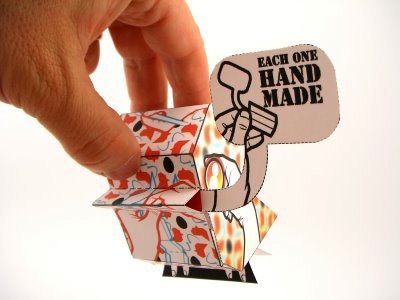 And if you haven’t done so already, have a look at the latest batch of NaniBirds, ready to be printed and folded.